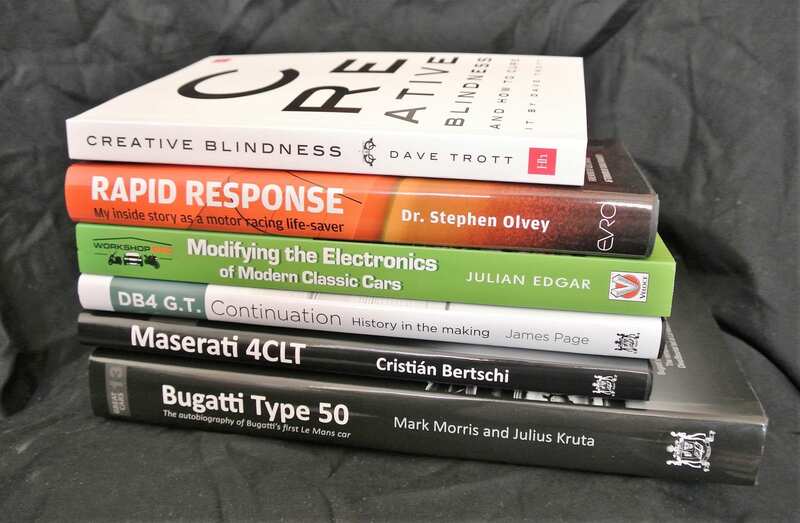 Seldom an ardent fan of fiction, Iain Robertson has sifted through some of the best factual books released so far this year, with an inevitable bias towards motoring, classic cars, motor racing and one title on self-improvement that can apply to all. 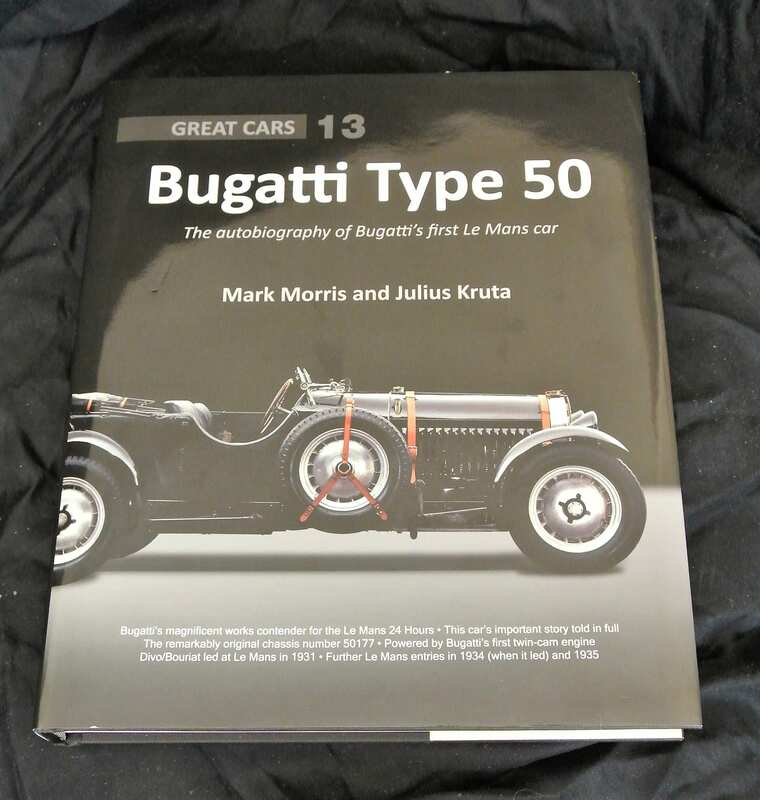 Making zero apology for a large slice of self-aggrandisement…Bugatti is my favourite classic (and modern) car marque and Porter Press is the finest book publisher in the automotive scene…the combination of a Bug Type 50 presented in its ultimate form is like a dream come true. It would be too facile to describe these books as ‘coffee-table’, because all thirteen of them have been so informative that residing on the table-top is the last thing that will happen! Leafing through each of its 320-pages, which are packed with a blend of period and fine quality photographs, as well as the expected end section of freshly commissioned studio shots of the car, the rewards are abundant. The car itself is the Type 50, built in 1930 and entered in the next year’s Le Mans 24 Hours race, as one of a team of three. More specifically, the chassis number is 50177, which was in the lead of the famous race, when it was withdrawn due to tyre failures that had afflicted the other cars, one of which had crashed heavily. Unlike the precious, lightweight Bugattis, the Type 50 was a burly beast intended to compete against the might of Bentley, which Ettore Bugatti usually referred to in derogatory terms. The car’s 4.9-litre, straight-eight, supercharged, twin overhead camshaft engine was not only one of the most potent in the field but was supplemented with the car being one of the most expensive too. It is little wonder that only 66 examples were ever built. Yet, it still features the marvellous ‘dumbbell’ front axle and the impossibly complex alloy wheels that no modern wheelmaker has ever been able to replicate. The featured car was owned by the Bugatti company, at its Molsheim, Alsatian factory, until after WW2 ended, at which point it was sold to a three-times Le Mans winner, who appreciated only too well the phenomenal value of the car. Within the content of this superb book you will find reproduced letters and documentation gathered by Miles Coverdale, who owned the car from 1976 to 1999. His invaluable research, which included communications with factory mechanic, Robert Aumaitre (while he was still alive), helped to piece together the story. It is supported by the extensive Bugatti archive, a lot of which had been saved and built by Sr. Romano Artioli, who reintroduced Bugatti to the world in the early-1990s. It is an immensely important car in Bugatti’s extensive history and this fine reference book ensures that its inner secrets are made available to a much wider audience. 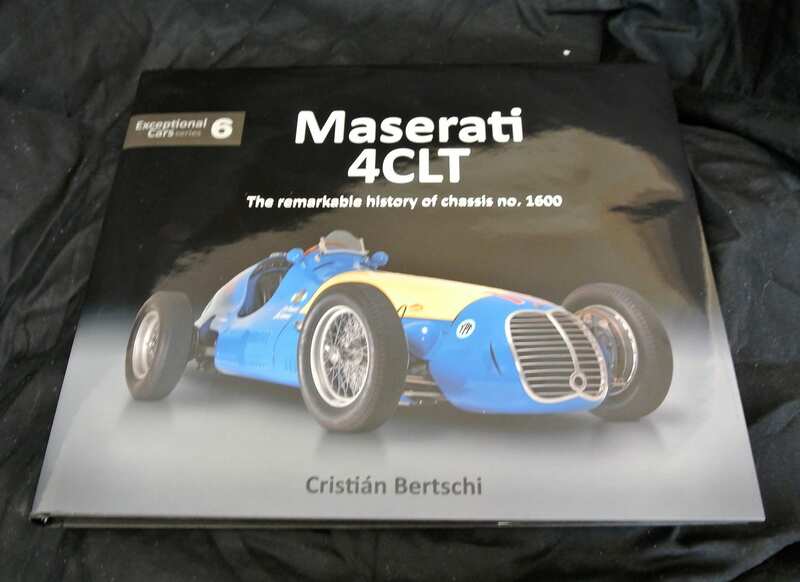 The second of three Porter Press books being reviewed deals with the Maserati 4CLT racing car that was delivered to the Argentine Automobile Club (ACA) in 1949. Chassis number 1600 had been driven to victory by the great Juan Manuel Fangio and other rising stars in that hectic post-WW2 era. However, it had been lost and was presumed to have rusted away in an overgrown ramshackle shed. The record of how it was found and painstakingly restored, complete with a new, scratch-built engine, prior to being transported between a succession of owners in both Japan and North America, before arriving in Europe, where it is now a renowned historic racing competitor, is the stuff of enthralling detective mysteries. Its 128-pages are crammed with well-written, well-researched and informative text, supported by a fabulous mix of period and current photographic images, including the final 20 pages of studio shots. The history attached to and surrounding this car is phenomenal; remember that General Peron was President of Argentina at the time of the car’s acquisition. A great racing fan, he wanted to be sure that his drivers were able to compete head-on with the best of the rest in the world. Thus, the ACA was a national means to achieve his aims, which also led to the blue and yellow paint scheme. Powering the car was a supercharged 1.5-litre engine that developed a cool 220bhp and was regarded as essential to the ‘voiturette’ (small car) racing classification. It was eminently recognisable (unlike today’s F1 cars, with which the 4CLT shares a solid bloodline), thanks to its bulbous outline and signature radiator grille, but was utterly beautiful. This book chronicles the car’s racing history in fine detail, focussing on the successes of 4CLT 1600. The car continued with a transplanted Ford V8 engine in the mid-1950s, when it enjoyed innumerable race wins. Yet, it was ‘lost’ for almost twenty years…its relocation and rebuild are also detailed and its return to competition, which is where all great racing cars should be, is provided in explicit detail. This is a lovely book that will enthuse any classic racing car buff and more besides. The third of the Porter Press books deals with one of Great Britain’s most desirable sports cars, the Aston Martin DB4. While it is a brand epitomised by its association with the James Bond 007 franchise, the DB4 GT was a stalwart of our motor racing history, not least because both Stirling Moss and Jim Clark drove examples of the model in period. Yet, you will note by the title that this is one of the ‘Continuation’ versions. In other words, something that has become popular in recent times around the classic car scene, with both Jaguar-Land-Rover and Aston Martin investing in it heavily, is utilising the skills of a firm’s artisan employees to build a ‘final’ and strictly limited run of its most revered models. James Page, a well-known British classic car fixture, followed the Aston Martin project from its outset. 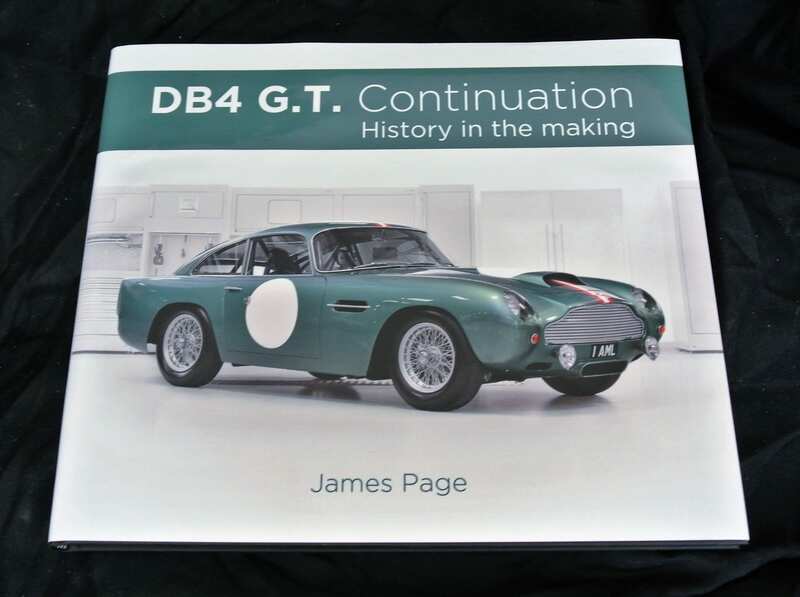 Naturally, the history of the original DB4 GT and Aston Martin for that matter is précised over the first 39-pages of the 128pp landscape-format hardback. It is followed by a closer look at Newport Pagnell, the Northamptonshire home to the marque. However, the remaining 78pp detail the reasoning and the building of the limited run sometime racer. The quality follows the customary high-end Porter Press model and proves delightful, enthusiastic and engaging to read (well done James!). Now for something completely different…compiled by New York advertising agent, creative director, copywriter and author, now residing in London with his wife and two children, Dave Trott wrote this charming 217pp paperback, his fourth book. Intriguingly, it presents some fascinating anecdotes, many of which can be applied to any of the complex scenarios, which confront all of us. 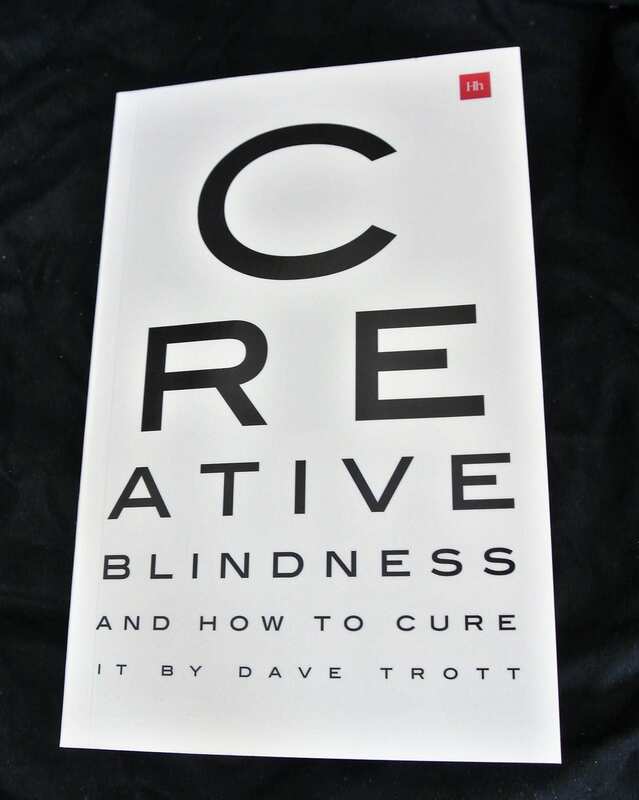 Through seven extensive chapters (or ‘parts’), corralled into unusual locations, creative communications, impact, practicality, surprise endeavours, illusions and real-life situations, Mr Trott provides a useful and exemplary road-map of the creative scene. In some ways, the content is potentially and intentionally disruptive. However, with many of the barriers that we have to contend with, politically, socially, morally and other aspects of our lives, not just working, thinking in an alternative manner may be the only way to surmount them. I really enjoyed reading this book and I can tell you that it gave me a different and successful approach for a project on which I was working. Recognised as one of the world’s most dangerous activities, motorsport is exciting, attractive, glamorous and deadly. Dr Olvey is renowned as having spent 50 years of his life, 24 years of which in the role as medical director for the CART racing series in North America, saving the lives of others and improving safety standards. Even in his ‘retirement’, he remains an active member of the Federation Internationale de l’Automobile Medical Commission, a consultant to the US Indy Car series and also motorsports director of the University of Miami Concussion Program, a location where he is also an associate professor of Neurology and Neurosurgery. Drawn to racing at an early age, his unstinting service is chronicled in the 312-pages of this hardback book. 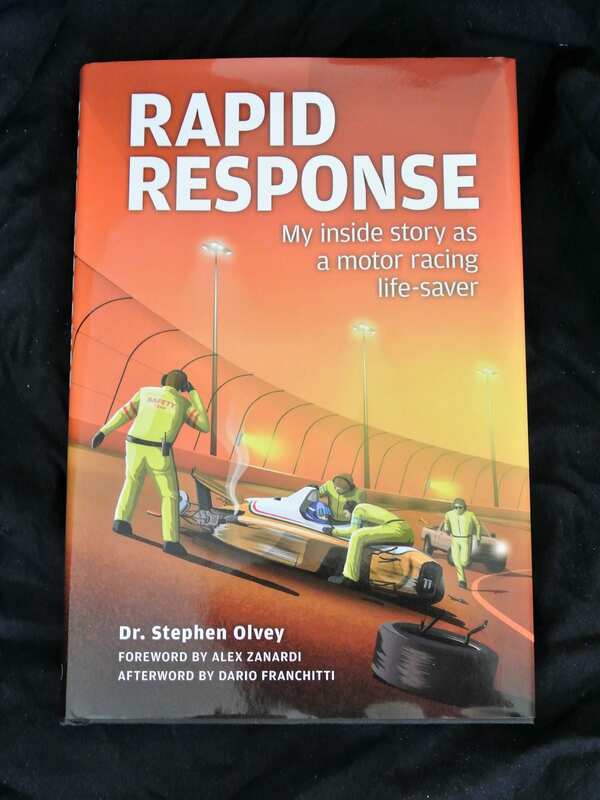 In fact, this is the second edition, the first having been critically received in 2006, and includes some important text updates, as well as a new ‘afterword’ by Scottish champion racer, Dario Franchitti, whose personal experiences in the careful hands of Dr Olvey and his team ensured that he survived a number of near-fatal on-track incidents. Perhaps the most famous of his cases is that of disabled racer, Alex Zanardi, who, despite losing both legs, in a terrifying Indy race crash, has returned to racing and is also a three-times Paralympic gold medallist. The stories that Dr Olvey tells are a great mix of humour, volatility and tragedy and the personalities within the sport are declared in a warts-and-all manner. I cannot wait to view the forthcoming documentary sharing the title of this book, which is a truly great read. Workshop manuals for specific makes and models of cars are the lifeblood of the DIY mechanic. Yet, there are few that deal more broadly with the cars of the final decade of the last Millennium. Julian Edgar is a well-regarded author of several technical books, some of which have been reviewed here before. Although he lives in New South Wales, Australia, much of the content of this excellent, 256pp paperback book is eminently practical for British, Japanese and European models, as they are virtually identical mechanically to the Antipodean alternatives (even though trim details may differ). Well-illustrated, including the practical step-by-step instructions, the information provided will have appeal to both home-based and professional mechanics, covering a wide range from the simplest, to the most advanced of modifications. Of course, 1990-2000 was a fascinating period for technology, with the growing raft of electronic management systems that some of today’s garages cannot fix, when something goes wrong. 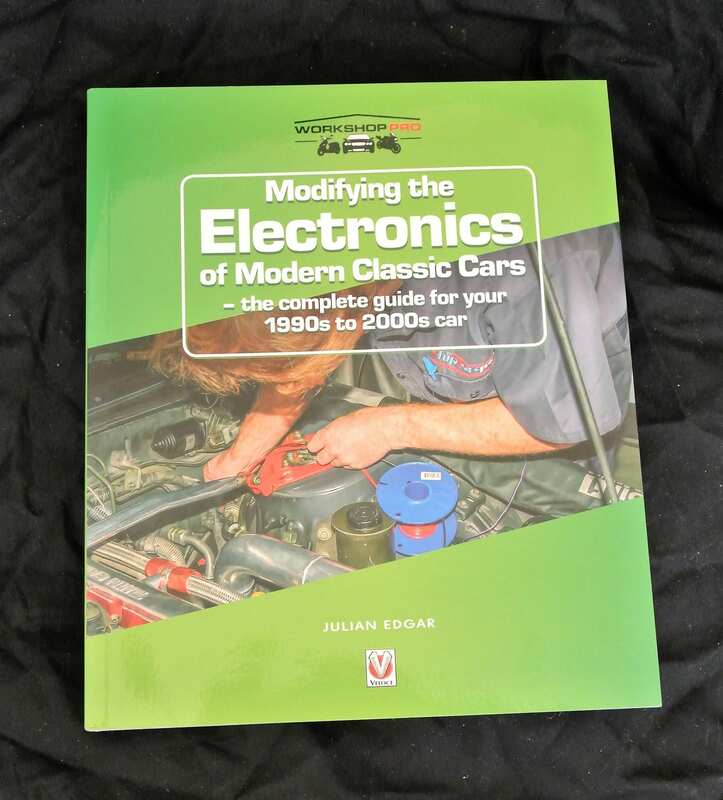 If you want to reprogram your car’s ECU, or install an upgraded system, then this is the book that will help you to achieve your aims. It deals with lighting, instruments, sound and engine management, providing links to YouTube videos of many of the tasks. It is a most useful handbook.